In the aftermath of the Japanese earthquake, one article I wrote just over a year ago entitled “Nuclear Waste Does Not Exist” has generated, in the past two days, an astonishing amount traffic. It is no secret that I’m a proponent of nuclear energy — for reasons I outline in a different article called Wind Or Nuclear? — and so I’ve watched with great interest and dismay as misinformation about nuclear energy spreads faster than the Code Red virus infected the world’s computers. Fortunately, people like Dr. Josef Oehmen, a research scientist at MIT, among others, are working very hard to dispel the mass hysteria building around the Japanese nuclear facilities. I am writing this text (Mar 12, ) to give you some peace of mind regarding some of the troubles in Japan, that is the safety of Japan’s nuclear reactors. Up front, the situation is serious, but under control. And this text is long! But you will know more about nuclear power plants after reading it than all journalists on this planet put together. I urge you to read Dr. Oehmen’s full article here. Even while thousands of people are reported dead or missing, whole neighborhoods lie in ruins, and gas and oil fires rage out of control, press coverage of the Japanese earthquake has quickly settled on the troubles at two nuclear reactors as the center of the catastrophe. Before we respond with such panic, though, it would be useful to review exactly what is happening in Japan and what we have to fear from it. 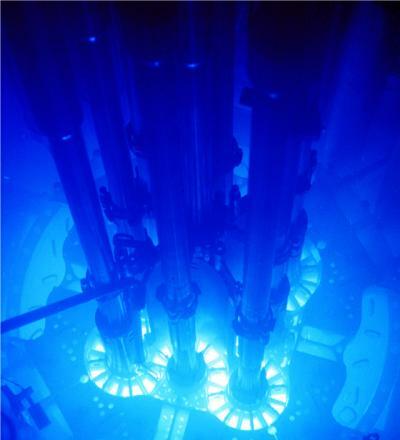 Once the reactor has shut down, there remains “decay heat” from traces of other radioactive isotopes. This can take more than a week to cool down, and the rods must be continually bathed in cooling waters to keep them from overheating. If the pumps are knocked out in a Generation II reactor—as they were at Fukushima Daiichi by the tsunami—the water in the cooling system can overheat and evaporate. The resulting steam increases internal pressure that must be vented. There was a small release of radioactive steam at Three Mile Island in 1979, and there have also been a few releases at Fukushima Daiichi. These produce radiation at about the level of one dental X-ray in the immediate vicinity and quickly dissipate. If the coolant continues to evaporate, the water level can fall below the level of the fuel rods, exposing them. This will cause a meltdown, meaning the fuel rods melt to the bottom of the steel pressure vessel. Early speculation was that in a case like this the fuel might continue melting right through the steel and perhaps even through the concrete containment structure—the so-called China syndrome, where the fuel would melt all the way to China. But Three Mile Island proved this doesn’t happen. The melted fuel rods simply aren’t hot enough to melt steel or concrete. The decay heat must still be absorbed, however, and as a last-ditch effort the emergency core cooling system can be activated to flood the entire containment structure with water. This will do considerable damage to the reactor but will prevent any further steam releases. The Japanese have now reportedly done this using seawater in at least two of the troubled reactors. 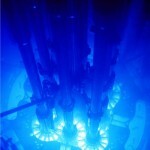 These reactors will never be restarted. None of this amounts to “another Chernobyl.” The Chernobyl reactor had two crucial design flaws. First, it used graphite (carbon) instead of water to “moderate” the neutrons, which makes possible the nuclear reaction. The graphite caught fire in April 1986 and burned for four days. Water does not catch fire. Second, Chernobyl had no containment structure. When the graphite caught fire, it spouted a plume of radioactive smoke that spread across the globe. A containment structure would have both smothered the fire and contained the radioactivity. If a meltdown does occur in Japan, it will be a disaster for the Tokyo Electric Power Company but not for the general public. Whatever steam releases occur will have a negligible impact. William Tucker, incidentally, is the fellow I quoted at length in my initial article, along with Dr. Pierre Guelfe, chief engineer of France’s main nuclear facility. Isn’t the point – don’t build nuclear reactors on major fault lines near the oceans! Also after 40 years, close them down and do some maintenance. However, it is getting worse and worse in Japan and my heart goes out to everyone there. The levels of radiation are increasing – let’s hope they can stave off anything worse from happening. There are already thousands of people dead from the tsunamai. The “dangers” from radiation are overblown. but you speak for all of us when you say that your heart goes out to everyone in Japan.